Welcome Thanks for stopping by. 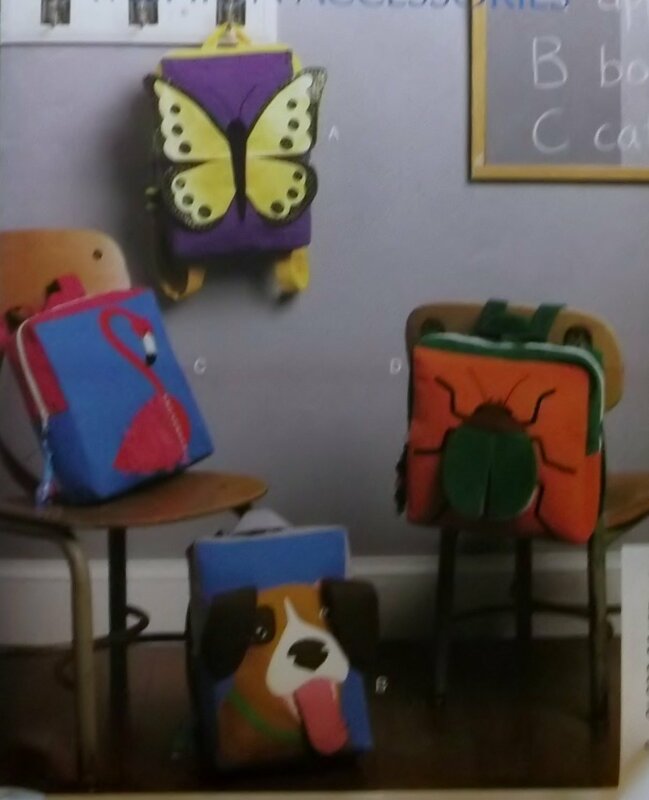 BACKPACKS: Package includes patterns and instructions for four lined backpacks. Backpack A,B: 8"W. x 12"L. Backpack C,D: 10" x 10". All views have contrast back, top, straps, handle and appliques.